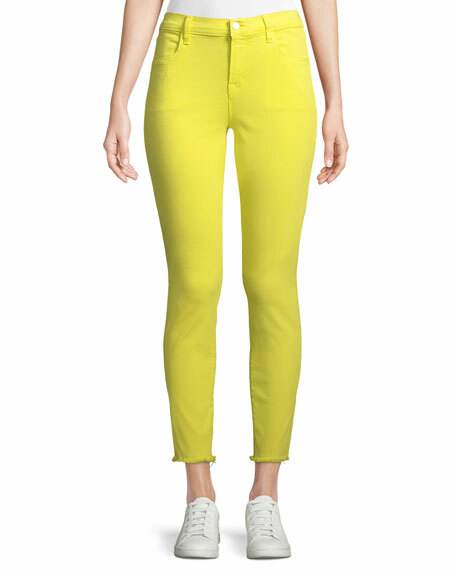 7 For All Mankind knit pants with golden hardware. Approx. measurements: 7.75" front rise, 12.5" back rise (rise measured from below band); 30" inseam; 10" leg opening (size 28 measured). Five-pocket style; branding on back right pocket. Button/zip fly; belt loops; branding patch. For in-store inquiries, use sku #288211. 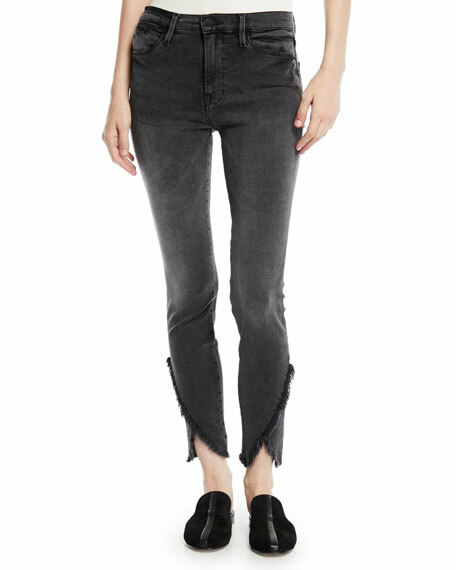 ALICE + OLIVIA JEANS "Good" jeans in stretch velvet. Approx. measurements: 11" rise; 27" inseam; 10" leg opening. High rise; belt loops. Five-pocket style. Fitted through skinny legs. Exposed button fly. Ankle length. Cotton/modal/spandex. Lining, polyester/cotton. Imported. FRAME "Le High" jeans with subtle fading. Approx. measurements: 9" rise, 28" inseam, 37" outseam, 10" leg opening. High-rise. Five-pocket style. Fitted through skinny legs. 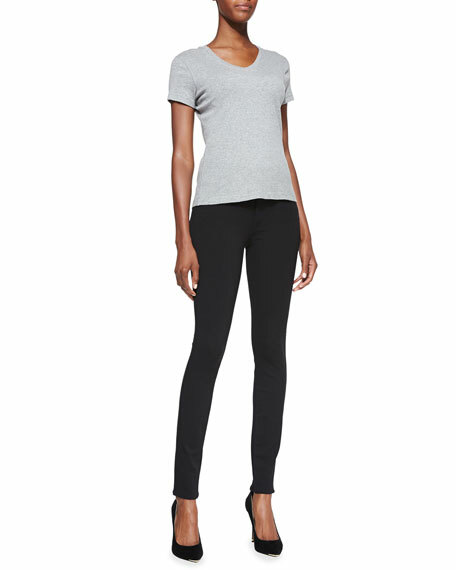 Cropped, asymmetric hem with fraying. Button/zip fly; belt loops. Cotton/modal/poly/spandex. Imported.